The Kingdom at Mount Zion had its genesis in the 1832 meeting in Manhattan of two self-proclaimed prophets—Robert Mathews, (aka The Prophet Matthias) and Elijah Pierson, (aka Elijah the Tishbite). Each had been on a lifelong spiritual quest and, in 1832, each was considered insane by mainstream churchgoers. While both men had fled the hypocrisy of conventional religion, they had taken profoundly different paths. Elijah had been searching for spiritual perfection through prayer and self-denial; Matthias had denied Christianity altogether and preached of a coming Old Testament style Kingdom of the Father. Robert Mathews, who would later call himself the Prophet Matthias, grew up in a strict Presbyterian community. He was orphaned at age seven and raised by the elders of the church. Except for a brief period as a successful store owner with a young family, he spent most of his time on an ever-stranger quest for religious truth. His proselytizing and fits of rage made it impossible for Mathews to hold a job and kept his family in poverty. In Manhattan he railed against the sinfulness of his fellow workmen and briefly took comfort in an African Methodist church. Then, influenced by newspaper editor, Mordecai Manuel Noah—who planned to set up a homeland for American Jews— Robert proclaimed that he was not Christian at all, that his ancestors had been Hebrews. At the same time he blamed his wife for his problems and would beat her with a rawhide strap to drive the evil spirits out. In Albany he tried to join an evangelical Christian church but was refused for his violence and shiftlessness and on June 20, 1830 Mathews was arrested for disrupting a church service in Argyle, New York. 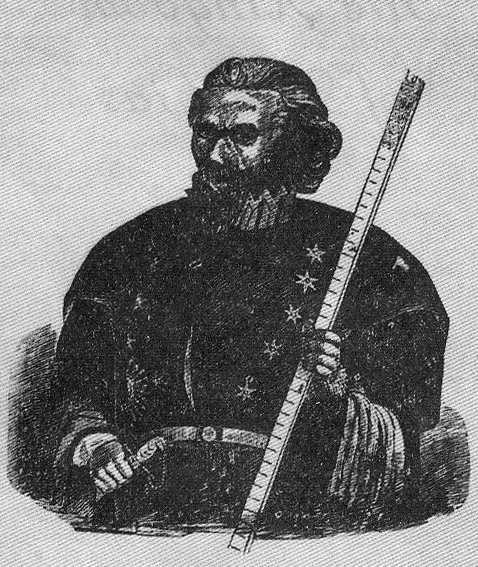 Following his arrest Robert Mathews moved alone to Manhattan and changed his name to the Prophet Matthias— possibly after the apostle Matthias who replaced Judas, or possibly after Jan Matthys, the 16th century Dutch reformer. Anti-Christian once more, he preached on street corners of a coming male-dominated, Kingdom of God, with Mathias himself as king. 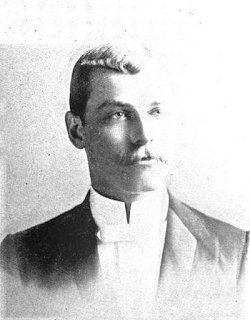 Elijah the Tishbite was born Elijah Pierson in Morristown, New Jersey. A descendant of Puritans, he was raised in a liberal Presbyterian church. As a young man he apprenticed to be a clerk in Manhattan and by age 34 had opened his own mercantile firm on Pearl Street. Around the same time he became active in evangelical religion, volunteering as the male elder of The Female Missionary Society for the Poor of New York and Its Vicinity. While working in the mission, he met and married Sarah Stanford, whose father was a Baptist minister. Elijah left the Presbyterian Church and joined Sarah’s Baptist congregation. 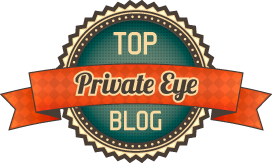 When Sarah began attending prayer meetings led by Francis Folger, who taught “retrenchement”—an ultra-evangelical movement prohibiting luxury in diet, clothing, and home furnishings—Elijah followed her there too. They became deeply involved in the Retrenchment Society, which met at the home of Francis Folger’s brother and sister-in-law, Benjamin and Ann Folger. Elijah and Sarah began living on bread and water and fasting for long periods. While Elijah’s business was still prosperous, their home was almost completely devoid of furnishings. Elijah began preaching and applied for formal orders as a Baptist preacher. When he was denied, he left the Baptist church and formed an independent church on Bowery Hill. He and Sarah started a mission for the prostitutes of the Five Points neighborhood. Pierson had always been a man of prayer, asking Jesus for help, when Jesus began to answer him, in English, he kept a journal of His words. This went on for over an hour, before another minister in the crowd, possibly Sarah’s father, stepped up and put a stop to it. Over the next year, most of Elijah's followers deserted him, leaving just a small group, which included the Folgers. He gave up his business and let his hair and beard grow. Elijah was living in an apartment on Fourth Street with his servant, a mystic ex-slave named Isabella Van Wagenen. On the first Saturday in May, 1832 he received a visit from the Prophet Mathias. Mathias told him it was a mistake to pray for the Son’s Kingdom; it was the Father’s Kingdom that was at hand. Referring to his arrest, Mathias said the Kingdom had already begun, with the Declaration of Judgment at Argyle on June 20, 1830. This got Elijah’s attention; it was the same day Jesus spoke to him on the omnibus. Elijah believed that he was Mathias’s “John the Baptist.” That Sunday, after preaching to his followers in his parlor, he turned the pulpit over to the Prophet Mathias and never preached again. All that summer Mathias preached loudly against devils, women, and 1800 years of Christian misrule. Benjamin and Ann Folger had moved to a country home in Sing Sing, 30 miles north of Manhattan; a mansion and 29 acres of land facing the Hudson River. They named it Heartt Place. Mathias visited and decided it was the perfect place to start the Kingdom. He renamed it Mount Zion and brought all of his followers to the house. He assigned each member of the household jobs based on what he perceived in their spirits. The trouble began when he started assigning sexual partners the same way. With Mathias the undisputed Father of the house, Ann Folger was determined to become the Mother. She successfully seduced Mathias who declared that her Christian marriage to Benjamin was invalid. She was his “match spirit;” he would find someone else for Benjamin. Benjamin Folger was sent to Albany to bring back the Prophet’s children. When he returned he announced that he had slept with the Mathias’s daughter, Isabella. The Prophet’s response was to severely beat his daughter. Then, after some thought, he declared that Benjamin and Isabella were “match spirits” and should be married. They were both agreeable to this, though Isabella was already married to a man named Charles Laisdell. Laisdell appealed to authorities and the Kingdom was forced to submit to secular law. While this was taking place Elijah Pierson was slowly fading away. He had begun having nervous fits before leaving New York, at Mount Zion they became more frequent and severe. For his own safety he could not be left alone. The Prophet would not agree to seeking medical care, claiming that Pierson was inhabited by “fitty devils” that had to be fought. On July 28, 1834, after eating two plates of blackberries at dinner, Elijah became violently ill. Matthias forbade any doctors or medical aid for Elijah. Elijah agreed, saying only prayer would save him. He was left alone, lying in his own vomit and excrement. The following morning Elijah Pierson was dead. Two doctors who performed an autopsy declared Pierson had been poisoned. The Kingdom was in disarray. Benjamin Folger had deeded his Mount Zion to Pierson and on his death, the Westchester County treasurer seized the property. What was left of Mathias's following fled to Manhattan. 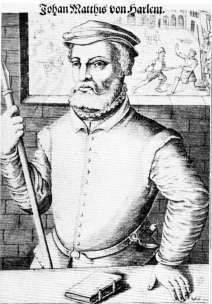 Benjamin Folger, now totally disillusioned gave Matthias $630 to go west and set up a new Kingdom. 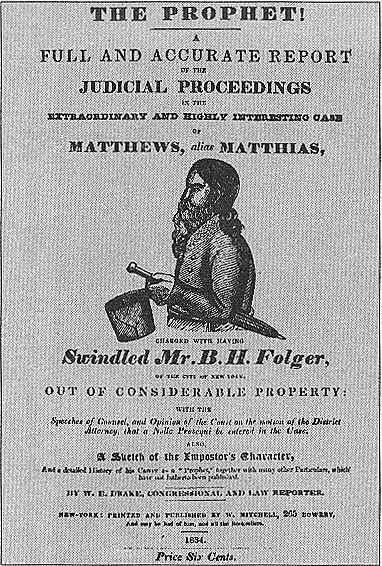 When Mathias left, Folger reported to the police that Matthias had stolen the money. Matthias was arrested and sent to the prison ward at Bellevue Hospital. Isabella Van Wagenen, the ex-slave who was Elijah Pierson’s servant, stayed loyal to Matthias and helped his wife Margaret obtain competent lawyers. Benjamin Folger, fearing Isabella would be a good defense witness, spread rumors that she had tried to poison his coffee at Mount Zion. She countered with a slander suit against Folger. 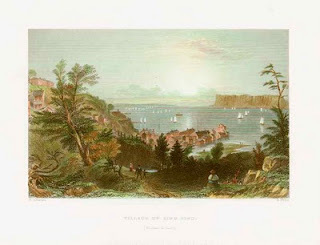 The story of the Prophet Matthias and Mount Zion was prime fodder for New Yorks nascent “penny press” which thrived on scandal. They printed stories on religious fanaticism and published all of the rumors of sexual improprieties at Mount Zion. But when the trial began, as if by prior agreement, neither the prosecution nor the defense made any mention of sexual practices at Mount Zion. The murder trial proceeded, beginning with medical testimony. The testimony of the autopsy doctors did not hold up under cross-examination. The doctor who had chemically analyzed Elijah’s stomach testified that they had found no poison. 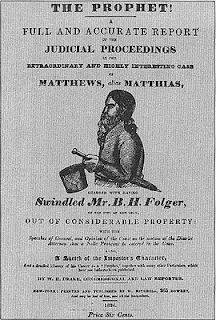 Ann Folger testified for six hours and implied, without stating directly, that Elijah had been poisoned, but under cross-examination the defense asserted that, as Mother to Matthias’s Father she was just as responsible for whatever happened to Elijah. Rather than mounting a defense, Matthias’s attorneys asked the judge for dismissal. Judge Ruggles agreed that there was not enough evidence to convict Matthias of murder and the charge was dropped. The prosecution called for the immediate trial of Mathias for assault on his daughter Isabella Laisdell. The defense was ready with a letter from Isabella forgiving her father and on the stand she admitted to signing it. However, Charles Laisdell testified that he had not forgiven Matthias. In his instructions to the jury Judge Ruggles stated that, though a father may have the right to whip a child, he lost that right once she was married. Matthias was found guilty of assault and sentenced to three months in county jail with an additional thirty days for contempt. After serving his sentence Matthias left New York State. In 1835 he went to Kirkland, Ohio and using the name Joshua, the Jewish Minister, he met with Joseph Smith, founder of the Mormon Church. They dined together and Smith allowed the visitor to preach to his congregation. The two parted on unfriendly terms, however—each said publicly that the other was possessed by the devil. Isabella Van Wagenen did not leave New York with Matthias. 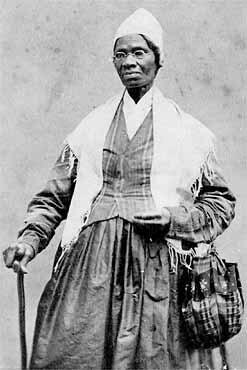 In 1843 she changed her name to Sojourner Truth and became a prominent activist in support of abolition slavery and of women’s rights. Stone, William Leete. Matthias and His Impostures, Or, the Progress of Fanaticism Illustrated in the Extraordinary Case of Robert Matthews, and Some of His Forerunners and Disciples ,New York: Harper and Brothers 1835. Very fascinating story. I have to admit, that much to my chagrin, I did not recognize immediately the picture of Sojourner Truth, since I was unfamiliar with this story I did not expect to encounter anyone I was familiar with, and certainly did not expect Sojourner Truth to be described as a mystic ex-slave and a servant and did not expect to read about her hanging around such people. But as soon as you revealed that Isabella Van Wagenen changed her name to Sojourner Truth, I recognize the picture right away. It was a good "a-ha" moment. Very good writing. Thank you. I did a double take too, the first time I read that Sojourner Truth was one of the followers. She was a very strong woman with quite an interesting history. I read The Kingdom of Matthias in my college U.S. History course and was spellbound by the details of this story. If anyone is interested in learning more about the spiritual awakening that occurred in New Yorks "burned over" district in the early 1800's I highly recommend this book. It's very interesting to understand how the movement and the ideas and concepts resulted in a schism among new revivalists and the older, paternalist ideologies that spurred both Joseph Smith and Robert Matthew's faith. When Isabella married it became her husband's right to beat her. Prophets Matthias and Joseph Smith Two of Americas most memorable Prophets had the ability to change lives forever. Together they had the opportunity to bless or curse the lives of each and every person who walked in their long shadows! They issued commandments along with striving to proselyte their visions for the future of Humanity! Prophets' Joseph Smith and Matthias worked to establish their New Jerusalem on the American continent. They would talk, work, and experience dreams or visions instructing them on how to spread their message of claimed Christianity. Both Prophets claimed to receive communications from spiritual entities. They claimed to know the difference between good and evil spirits and each had the ability to then preach their doctrines! Death, destruction and great sacrifice often became the rewards of those men and women who followed in the footsteps of these two trailblazing Prophets! Each Prophet had a vision, a doctrine and a desire to lead their followers into their visions of Zion. As the commandments, doctrines and visions of these two Prophets increased a dramatic series of coincidences start to become apparent but have remained unexplored within the pages of history for almost 200 years! The overwhelming alarming principals and connections provide us with evidence of coincidences which cannot be re-butted as they are recorded within the annals of American Modern History. Within the manuscript you have the opportunity to experience the shocking true story of some of these coincidences. Eventually Prophet Matthias and Joseph Smith met face to face. The meeting between these two prophets was extremely rare, dramatic and definitely unforgettable. After a three day meeting each Prophet declared their opinion of each other! The forces of good and evil are continually battling one another! Clash of the Prophets presents the evidence from different viewpoints, exposing the continued war between the spirit forces involved! We present evidence pointing us towards the trailblazer and copycat Prophet. The investigation delves into demonic possession within war torn Europe and upon the American continent. Could it be possible that both Prophet Matthias and Joseph Smith were involved in a real clash of the Prophets which involved real celestial and demonic entities? The true story of real people is fully presented within the realities of their life's experiences! Talk about a twist! Sojourner Truth. Never would've guessed.